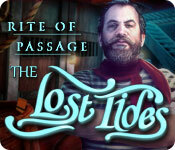 Rite of Passage: The Lost Tides is rated 4.3 out of 5 by 16. Rated 5 out of 5 by ladynextdoor123 from Good Fun I really liked this game and couldn't stop playing once I started. The HOPs were varied, and the puzzles were not too challenging which made everything flow along so I didn't lose track of what was going on. The storyline was interesting and the main character was determined to get things done! I liked that I wasn't bobbing and weaving from one end of the map to the other to find some obscure widget to open something. It was easy to navigate and remember where items in the inventory belonged and what direction I should take. Very enjoyable. Rated 5 out of 5 by Italia47 from The lost will be forgotten...Not if I can help it! I really enjoy reading both the negative and positive reviews but I especially get a kick out of the negative reviewers' comments because I can often relate plus some of the comments make me laugh out loud! We all have likes and dislikes--that's what makes the world go around. But for me, I must report that I love, love, love this game. Mad Head Game developers, I commend you! You have created an ingenious game! The mini games are really thought-provoking and intelligent; the HOS are interactive and unusual, and the tasks are awesome. Good hint button; the map is fantastic! The story is great! This game is a winner in my opinion! There is so much to do and it's all fun stuff, too. The voice actors are excellent; the artwork is gorgeous, and the music is great! The moment I started playing the SE version I knew right away I'd love this game. I'm halfway through the game and usually like to give a review when I've completed it but I just couldn't wait because of my excitement of wanting to inform gamers to try it out. Buy it! I've never beta tested a game as I rely pretty much on the reviewers' comments and then with the great discounts from Big Fish, I just end up buying them. I thoroughly enjoyed helping Bill, who's my brother in the story, find the blueprint to repair the glider--that was awesome! I enjoyed finding the octopus torso and tentacles and then having to position it properly to fit the slot in the bookcase. One favorite task was having to pick a lock. I've done those before but this is somewhat different--rather unique and fun to do. I highly recommend this game. This is my kinda' game! Rated 5 out of 5 by mharrsch from Seafaring adventure with action and mystery keeps you interested Rite of Passage: The Lost Tides gives you sort of a Bermuda Triangle experience with HOS and mini-puzzles thrown in. The game combines beautiful graphics, immersive music and sound effects and quality voice acting with enough action sequences throughout the game to keep you on your toes - explosions, cave-ins and a frightening shipwreck. I particularly enjoyed one of the challenges that required a bit of trial and error to figure out how to make necessary adjustments to the controls in the engine room so you could start the ship. I always appreciate an opportunity to figure things out rather than have a diagram showing you exactly what to do. It even had an arcade type minigame where you had to sail your ship around a changing pattern of rocks and just when you thought you had finally succeeded a pirate ship shows up and blows you out of the water. I would have preferred fewer "assemble the picture" type minigames but I assume those were included to provide a range of difficulty so the game would appeal to both beginners and more advanced players. I definitely look forward to playing more "Rite of Passage" titles! Rated 5 out of 5 by denniann2 from the ship just sailed away from sight when you and your brother were young the family, mom, dad, your brother and you were taking a cruise and you came upon a severe storm. your mother was stuck in a room and your dad tried to save her but told you and your brother to get into the life boat and go! you did as you were told and watched the ship sail into a portal and it has never been seen again. when you grow up you find the compass your father had made and given to you on that fateful day they disappeared. one day you see the ship your parents were on and try to get to it but the storm surrounding it is too bad. you go to your brother and together you figure out how to get to the ship. that is when the adventure begins. the mini games are kind of hard for me and i played on custom. at the beginning there is a haunting tune that plays in the background. it reminds me of a siren's song that you read about luring ships to their disaster. there is a good hint system and as i said before a custom level. an interactive map. sequel....i would say yes!!! Rated 5 out of 5 by ReneThePig from Completed Game - Nice One! Glad I gave this game a chance, it gave me several very pleasant hours. While the game isn't overly difficult, there's a nice pace to it and it keeps you moving along smoothly. The HO scenes were typical for this developer - more interesting than just simple piles of stuff and the mini-games were kind of cool. Others here have talked about the story and all the other details so I won't get all into that, too. After playing through the entire game, I sort of wished I had sprung for the C.E. on this one. Very enjoyable several hours! Rated 5 out of 5 by charlene_lane from EVERLOST - WHERE ARE YOOOOOOOOU Review from completed Game, Bonus and Extras. There are: * Voiceovers; * Calm Seas, Gale, Hurricane and Custom modes of play; * Interactive map; * Use of compass to help you. The graphics are gorgeous - colourful, bright and crystal clear. I had no trouble at all roaming around finding clues and getting items. There are no dark, blurry or indecipherable scenes at all. Sound and voiceovers are very good. The music is orchestral and I didn't turn it down at all. The HOS music is piano. 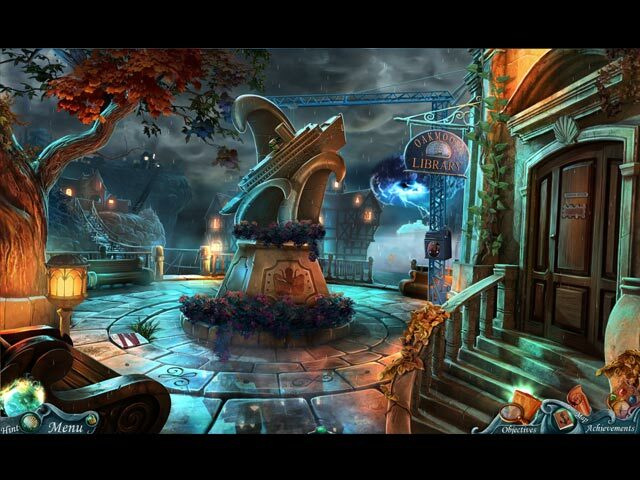 The hidden object games are interactive straightforward and silhouette. Some of these had a good challenge to them. There are a good variety of mini-games which had a few new ones I hadn't seen before and I enjoyed playing them all. There is a compass that you use in certain situations. The compass will jump around and wobble, so you will know when to use it. Even though we have an interactive map, I found that I didn't need to use it at all. You pretty much stick around the same area until all tasks have been done and you only need to go a couple of steps backward or forward, so there was no need to use it. So, CE verus SE. In the CE you get 8 Achievements, find 37 seashells in game and bonus, find 13 morphing objects in the HOS and lots to do in the Extras. I personally think you would be happy with either one. However, I think Mad Head Games puts a lot into their extras which are worth getting. Happy playing fishies. Rated 5 out of 5 by mrm2006 from A singing mermaid, a ghost ship and a 20-year mystery. Based on both the CE and SE demos A family vacation. A cruise. A stormy night, strange fog rolling in, a female creature arises in the sea. Your character, who is a young girl, must leave her parents behind to be sucked into a Bermuda Triangle-type portal and save her brother. 20 years later and the ship has ..... reappeared. The graphics are done very well. Voice overs were done well facial features could have used some help. The music was nice .... nothing over the top and not annoying. YAY! 4 difficulties: Calm Seas, Gale, Hurricane and Custom. Love the names! 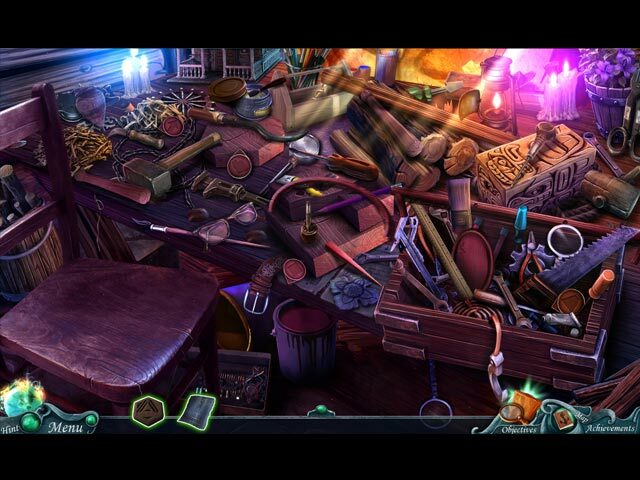 HOGs (hidden object games) - there are 13 in the game. Mostly list type. Mini Games were very varied and I found them quite a bit There seemed to be an equal ratio of HOGs to Mini Games. You are armed with a diary, although it doesn't hold codes, etc. so I'm not sure of its importance. A transportable map and a compass that dissolves bad energy. Wow. Could use one of THOSE in real life. I don't know what it is about this game but I love it. I enjoyed the story. I enjoyed the games. The map was easy and, frankly, I would forget to even look for the collectibles - lol. It just grabbed me from the very beginning. I think it would be great for any level of expertise and it is a standalone game .... past games do not need to be played in order to understand THIS storyline. Oh, and let's NOT forget ....... I want to find out just what is going on with .................. the singing mermaid! Yep. There is a singing mermaid - lol. Is this a new trend in gaming? This is the 2nd game that I know of that has that "new" feature. Singing mermaids, a ghost ship and a 20-year mystery - let's explore this together! ENJOY! Rated 4 out of 5 by Janie42 from Well worth buying... Good! ...based on completed game... Bright, colourful, interesting storyline, really gorgeous scenes/artwork, high production values all around. (I liked the song as well.) 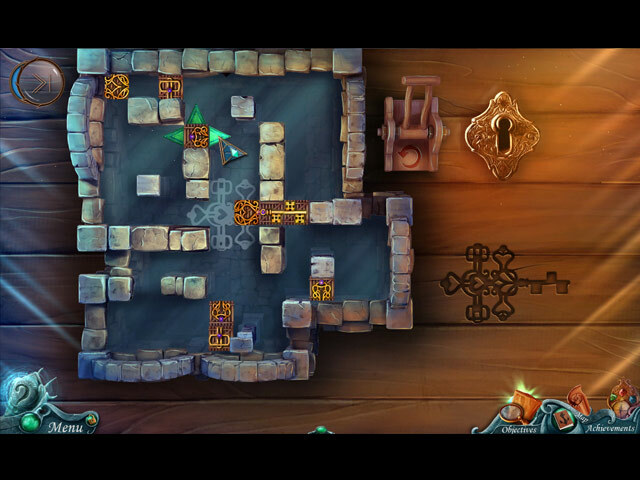 Mini-games are fun, sensibly connected to story, and a few are original in design. I enjoyed the engineering-type puzzles that let us build items like the flying machine. HOS are attractive with a couple variations (and not too many HOS). SE ending is quite fine, satisfying, and the finale puzzle is well presented. Also, this game is a right length...just long enough to stay fast-paced throughout. Mad Head are strong developers IMO and their games always high quality. Rated 4 out of 5 by zeldaqn from Nice change of pace Overall there are few hos scenes (: and many puzzles, some of them quite difficult (my favorite). I recommend this to all puzzlers who like to have to think instead of being told what to do next.